Fuller, W.A.. "Vole". The Canadian Encyclopedia, 03 June 2015, Historica Canada. 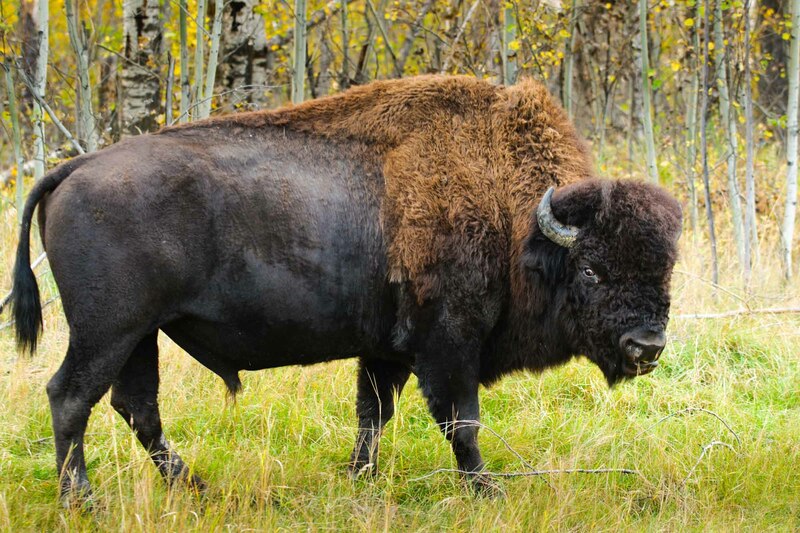 https://www.thecanadianencyclopedia.ca/en/article/vole. Accessed 22 April 2019. 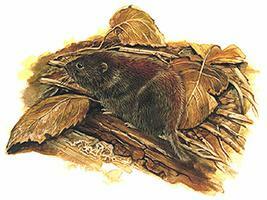 Vole, common name for several rodents of family Muridae, found only in the northern hemisphere. Commonly called field mice, voles occur throughout Canada in grasslands, forests and low arctic tundra (Macmillan Illustrated Animal Encyclopedia). Red-backed voles are most abundant in forests but also occur on the prairies and on tundra west of Hudson Bay (artwork by Jan Sovak, 1989). Vole, common name for several rodents of family Muridae, found only in the northern hemisphere. Voles range in size from 15-20 g (red-backed voles) to 200 g (Richardson's water vole, Microtus richardsoni). They have stout bodies, short legs and tails, and ears nearly hidden by moderately long hair. Genus Microtus (about 55 species) is most widespread and diverse; 12 Microtus species occur in Canada (including Richardson's, woodland, prairie, singing, montane, Townsend's, root, long-tailed, rock, chestnut-cheeked and creeping voles). Meadow voles (M. pennsylvanicus), commonly called field mice, occur throughout Canada, in grasslands, forsets and low arctic tundra. 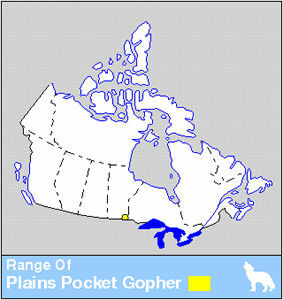 Red-backed voles (Clethrionomys), most abundant in forests, also occur on the prairies and on tundra west of Hudson Bay. Heather voles (Phenacomys intermedius), found across the boreal forest, are rare; sagebrush voles (Lagurus curtatus) are confined to dry grasslands of southwest Saskatchewan and southeast Alberta. Many voles make prominent runways and above-ground, grassy nests. 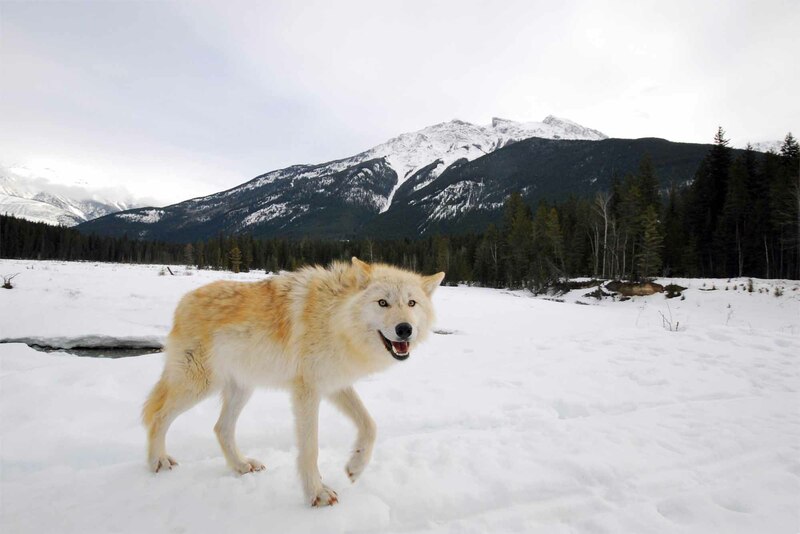 They remain active and may breed under the snow cover. Females of many species become fertile immediately after giving birth, bearing litters at close intervals; they may have 2 or more litters in the summer of their own birth. Voles rarely survive more than one winter. Many species undergo cycles of abundance and scarcity, peaking every 3-4 years. Voles can cause serious losses of hay and cereal crops, and damage fruit trees and ornamental shrubs.